CBBC HD will be taken off Freeview HD from the 16th July to make way for an extension of BBC Three HD's broadcast hours in time for the Commonwealth Games. The CBBC channel timeshares bandwidth with BBC Three, but BBC Three will be going 24/7 to cover the Games in July and early August. Garazi Gola, the BBC's acting Director of Distribution confirmed the move in a BBC post, advising viewers that "any series links set for CBBC HD will not record and will need to be reset for CBBC SD if you want to continue to record the programme during the Commonwealth Games." The standard definition version of the channel on Freeview channel 70 will continue as normal for viewers. 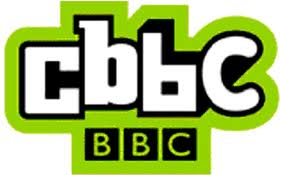 From a technical standpoint, CBBC in standard definition will timeshare with BBC Red Button 301 so that BBC Three standard definition can extend its hours, something that can't be done with the HD channels due to way the HD service is broadcast. The change will also affect YouView users. CBBC HD will continue on cable and on satellite, where the BBC has temporarily hired an extra satellite transponder to cope with the extra Commonwealth Games coverage from Glasgow. CBBC HD will return to Freeview channel 73 shortly after the Commonwealth Games finish in early August.